Elle King is an American singer, songwriter, and actress born in Los Angeles, California. Her musical style encompasses country, soul, rock and blues. 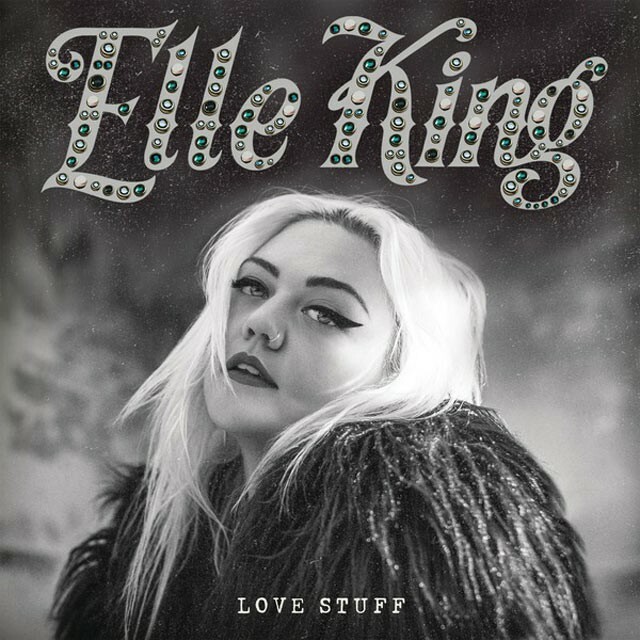 The above is the cover artwork of Love Stuff, the debut studio album by Elle King, released on March 3, 2015 through RCA Records. The font used for the singer name is Appleton (slightly modified) by Decade Typefoundry. For the typewriter style font setting the album name, it is Schmutz Cleaned by Image Club. The Appleton font identified above is not available for free, please follow the link above and purchase the font. Meanwhile, you can take a look at our collection of fonts for cars, pop music and apparel as well as round-ups of new & fresh fonts around the web. In addition to Elle King, It seems we can’t find other examples (logos, movie posters, album covers etc.) of Appleton typeface in use.